appucino is a llama that I sheared in Montana in 2006. 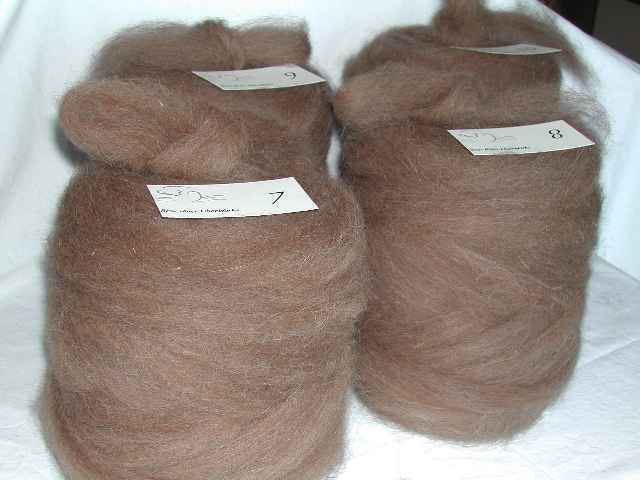 Cappy's fleece is a bit coarse - he's no alpaca - but he made nice roving that would definitely be suitable for rugs or other similar projects. Want to buy? Contact me and tell me which bumps you'd like. First come first served. Click on the image to see photos of the individual bumps.